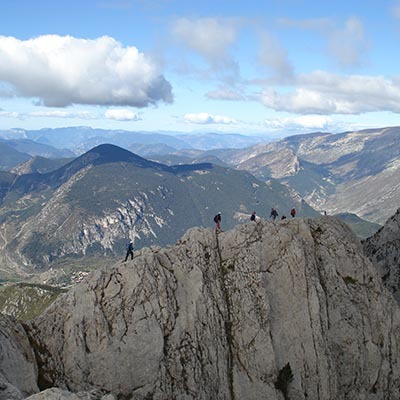 When we elevate hiking to its extreme in terms of difficulty and our goal is to get to the top of a mountain, we call these hiking trips ascents. In the case of extremely difficult ascents that require expert knowledge (e.g. how to use technical materials: ice axes, crampons and ropes, etc.) or techniques for climbing on rocks, ice or snow, as well as being in very good physical shape, this is called mountaineering.